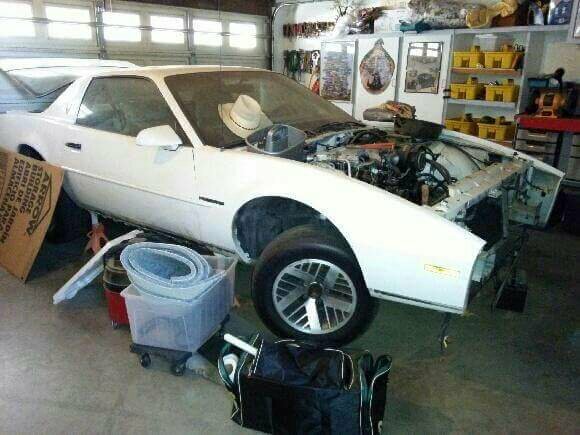 Hi im new to v6 f-bodys had acouple irocs,74 z28,elco and im now into v6s I currently have a3.1 hybrid grand prix (selling) I was recently given a 91 firebird 3.1 5speed and im looking into buying a 3.4 camaro/fb and building that motor while I drive my firebird. Now my question is what do I need to do to swap to the 3.4 I know its got coil pacs in place of the distributor but other than that both are 60degree motors both are sfi (I think) ans both are obd1 now whsts the main differences in wireing,mounting and computer compatibility and I guess most important will it bolt up to my t5 transmission? i'm pretty sure both 3.1 and 3.4 have the same bolt pattern on the bell housing. I can't know for sure though. i don't have either. Fasteddi is one of our 3rd gen gurus. i'm sure he'll chime in soon. Sorry for not responding. Been a crazy summer. And I have a mini fasteddi on the way!!! But yes a v6 t5 will bolt right up to a 3.4 or a 3.1 or a 2.8 only difference is there will be a pilot bushing in the crank if it had a manual trans hooked to it last. Last edited by fasteddi; 10-17-2017 at 07:01 AM. Ahh you are tossing a 3.4 into a 3rd gen?? Easy man. All you have to do is toss it in. Change a few wires for the ignition to be dis. Change the tune which I can help you with. And you are done. It's quite simple. But I would recommend making it a hybrid top end and ditching the sfi injection . This write up I did should help. Remember hybrid swap or not. A 3.4l swap into a thirdgen is the same minus the little things such as a throttle cable or t stat housing. Look at the dis ignition wiring in the write up as it will be the same weather it's a hybrid swap or 3.4 swap. Last edited by fasteddi; 10-17-2017 at 07:06 AM.